D&D is going to TwitchCon 2018 in full-force! Everyone can watch all kinds of livestreamed entertainment broadcast from the D&D/Magic: The Gathering Arena booth #1016 all weekend long, while TwitchCon attendees will get a chance to meet with some of the D&D team, cosplayers, streamers, partners and creators. The full schedule of D&D activities is listed below but we wanted to highlight a few awesome events. WaffleFam rejoice! We’re super excited that Dice, Camera, Action! with Chris Perkins will be performing a special live show from the TwitchCon main “Glitch” stage on Sunday October 28 @ 2:30pm PT. 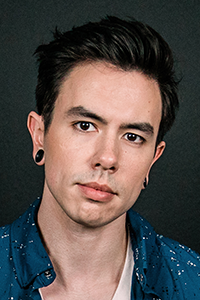 Dungeon Master Chris Perkins will be in costume, along with Jared Knaubenbaur as Diath, Holly Conrad as Strix, Anna Prosser Robinson as Evelyn, and Nate Sharp as Paultin. There will also be four special guests, fantastical props, lights and sets, and live music-mixing by Syrinscape composer Benjamin Loomes, making this the most spectacular Dice, Camera, Action! episode yet! Watch this special Dice, Camera, Action! 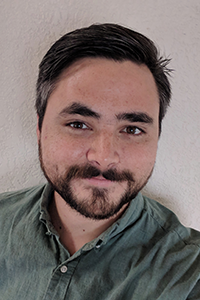 show live on twitch.tv/dnd on Sunday, Oct. 28 @ 2:30pm PT. The Broken Pact is a new streaming D&D show on twitch.tv/dnd set in the world of Ravnica, and the whole cast will be playing live from the booth at TwitchCon on Saturday, Oct. 27 @ 4pm PT. 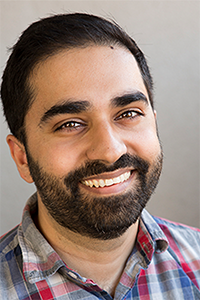 Dungeon Master Reuben Bresler leads this cast of characters including Riley Silverman, Ashlen Rose, Guarav Gulati, and Jordan Pridgeon. Right before this game, D&D and Magic: The Gathering team members will talk about the setting of Ravnica in more detail and discuss what it was like to make Guildmasters’ Guide to Ravnica, coming next month. Actor Matthew Lillard has been playing D&D for decades. His company Beadle & Grimm’s Pandemonium Warehouse is bringing Waterdeep: Dragon Heist Platinum Edition to life. In this box, you’ll have everything you need to play the adventure including custom-made props like a gold dragon coin, a badge of the Watch, miniatures, maps and much more! 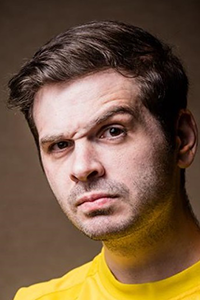 Dungeon Master Jeremy Crawford will play an adventure using these materials with players WWE Superstar Xavier Woods®, Adam Koebel, Satine Phoenix and more! Host: Bart Carroll. Artists include: Satine Phoenix, Daniel Presedo. Host: Satine Phoenix. Panelists include: Krystina Areille, Mica Burton, Holly Conrad, and Vivid Vivka. Host: Greg Tito. Panelists include: Greg Collins, Adam Koebel, Tanya DePass. Host: Greg Tito. Panelists include: Kyle Newman, Sam Witwer, Jon Peterson, M. Witwer. Host: Satine Phoenix. Panelists include: James Wyatt, Ari Levitch, Jeremy Crawford. DM: Reuben Bresler. Players include: Riley Silverman, Ashlen Rose, Guarav Gulati, Jordan Pridgeon. DM: Jeremy Crawford. Players include: Adam Koebel, Kyle Newman, Mica Burton, Satine Phoenix, and WWE Superstar Xavier Woods®! Host: Satine Phoenix. Panelists include: Jeremy Crawford, Benjamin Loomes. D&D Game: Dice, Camera, Action! DM: Chris Perkins. Players include: The Waffle Crew, and special guests: Felicia Day, Malik Forte, Benjamin Loomes, Vivid Vivka, and WWE Superstar Xavier Woods®! Mica Burton has been cosplaying since early 2007, learning how to sew from her grandmother before she discovered that dressing up as her favorite characters could be a hobby. But before conventions were even on her radar, she had been watching anime and playing video games for as long as she can remember—even sporting head-to-toe Tekken merchandise at age 4 and gaming as soon as she could hold a controller. Her love of all things nerdy and her BFA in acting from the University of Michigan landed her a job with the popular internet entertainment company Rooster Teeth as a host for their gaming news channel and also reoccurring on screen talent, giving her the opportunity to be in front of the camera while developing her cosplay skills with the support of her coworkers and friends. Now, she is a host working for Blizzard Entertainment, covering and commentating on Overwatch Contenders and Overwatch World Cup. Being a professional cosplayer as well as a host, she continues to spread the love of all things nerdy across the internet, having the opportunity to travel to conventions all across the world, sharing her love of cosplay with fans and fellow artists—whether it be guesting or attending for fun. Through speaking at conventions and continuing to strengthen her craft, Mica hopes to bring more diversity, acceptance, and positivity to the cosplay community, knowing that cosplay is where some of the greatest familial bonds can be formed. Bart Carroll has been a part of Wizards of the Coast since 2004, having worked with the Star Wars, G.I. Joe, Magic: the Gathering and Dungeons & Dragons brands through the years. He’s also been a D&D player since 1980 (with fond memories of coloring the illustrations in his 1st Edition Monster Manual), and is thrilled that his current role includes the D&D website and Dragon+. His favorite monster is the brain in a jar. 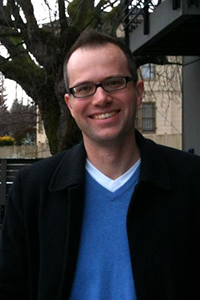 Jeremy Crawford is the lead rules designer of Dungeons & Dragons, in addition to being the game’s managing editor. 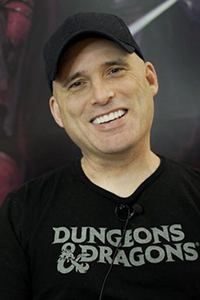 He led design of the Player’s Handbook and co-led design of a variety of other D&D books, including the Dungeon Master’s Guide, Xanathar’s Guide to Everything, and Mordenkainen’s Tome of Foes. Before coming to Wizards of the Coast, he wrote for the games Blue Rose, Warhammer Fantasy Roleplay, and Mutants & Masterminds. Tanya DePass is the Founder and Director of I Need Diverse Games, a not-for-profit foundation based in Chicago. 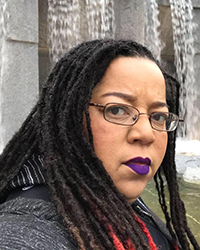 She’s part of the Spawn on Me podcast, the programming coordinator for OrcaCon; and often speaks on issues of diversity, feminism, race, intersectionality & other topics at conventions. 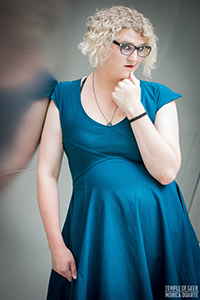 Her writing appears in Uncanny Magazine, Polygon, Vice Gaming, Mic, Waypoint, Wiscon Chronicles, Paste Games and other publications. 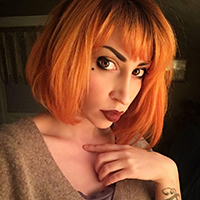 She's been a Industry Insider at GenCon (2017), Guest of Honor at OrcaCon (2016), and is a partnered variety streamer on Twitch. 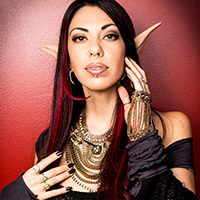 Satine Phoenix is an illustrator, comic book creator and author who spent the last 8 years encouraging the Los Angeles Dungeons & Dragons Community. She began by coordinating weekly D&D games at Meltdown Comics and building meetup.com/LATabletopGamers. She founded CelebrityChariD20.com with Keith Baker for Reach out and Read in 2010. 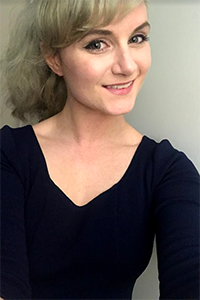 Satine co-created Maze Arcana in 2016 with Ruty Rutenberg as a way to connect with fellow gamers across the world. As Guild Adepts, they create tabletop content & travel the world from game stores to conventions teaching others how to take their games to the next level. You can read about her Gaming Escapades over the years on io9.com, Wired magazine, Maxim and Time Magazine. In 2017 Satine continued Geek & Sundry's GM Tips, previously hosted by Matthew Mercer. In her new format, she showed their audience the value of learning from one another's experiences by interviewing Game Masters from all walks of life. Other shows she's been on recently are Geek & Sundry's Table Top (hosted by Wil Wheaton) & Projectalpha.com's Sagas of Sundry: Dread (game mastered by Ivan Van Norman). You can watch her Tuesday nights 6pm PST Dungeon Mastering Sirens of the Realms on twitch.tv/dnd. Sirens of the Realms is about an all-girl bard band on tour through Faerun with special guests. 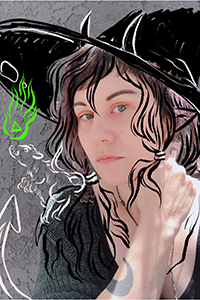 Wednesday nights 7pm PST she plays Rose, an Aundairian Elf lounge singer, in Maze Arcana's Inkwell Society: A Neon Noir Live Play D&D game set in Eberron. Dungeon Mastered by Ruty Rutenberg on twitch.tv/mazearcana. 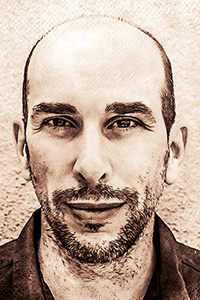 Daniel Presedo currently works full time at Adobe on Photoshop. You may have spotted one of his many (5) Easter egg screens in the product over the last decade. He helped pioneer many digital workflows in the early 1990s before they became common years later. 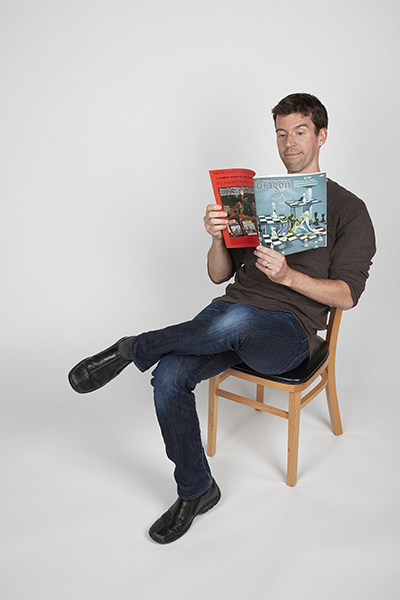 Today, Daniel fosters connections throughout various industries, teaches Photoshop and in his spare time creates books to share with his family. Vivid Vivka is a one-woman virtuoso of all things geeky. She is an accomplished and seasoned cosplayer, specializing in armor and detailed builds. She's a video-game fanatic, Magic: the Gathering obsessed & has a long list of Waifus. She has been seen on Celebrity Apprentice, been in music videos and CD covers for Steel Panther, been written about in Maxim, been featured in and on the cover of multiple Cosplay Culture Magazines, and has been interviewed about Cosplay is not Consent and Body Positivity by Vice Magazine. Her collection of sparkly dice is to be envied but doesn't have the best luck with rolls. 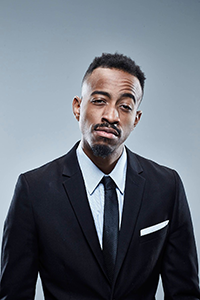 A dynamic Superstar with plenty of brains—he's currently earning his Ph.D. in educational psychology in addition to his two bachelor's degrees in psychology and philosophy and a master's in psychology—Woods is far more intelligent than his off-key trombone bleating may let on. 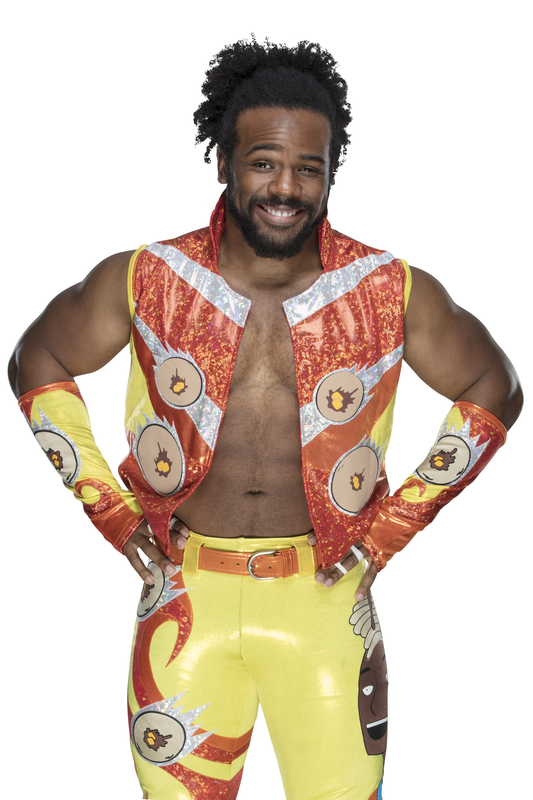 He's damn good in the ring, too, snatching multiple WWE Tag Team Championships alongside his New Day crew of Big E and Kofi Kingston. In between earning degrees and titles, Woods has also found the time to host his own YouTube gaming channel, UpUpDownDown. 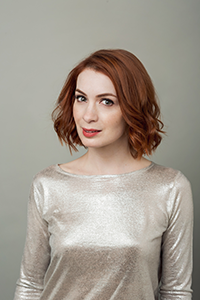 No doubt, Woods and his New Day cohorts have seized their moment, and when Xavier Woods steps inside the ring, you can be sure that his opponents are about to be schooled. .
Felicia Day is a professional actress who has appeared in numerous television shows and films. She is currently appears on the CW show Supernatural, the SyFy series The Magicians and the new Mystery Science 3000 on Netflix. She also does voices for various animated shows such as Adventure Time and Skylanders. However, Felicia is best known for her work in the web video world, behind and in front of the camera. She co-starred in Joss Whedon’s Internet musical Dr. Horrible’s Sing-Along Blog, which was ranked in the “Top 10 Best TV of 2008” by Time Magazine, Entertainment Weekly and People Magazine and won an Emmy in 2009. She also created and starred in the pioneering web series about gamers, The Guild, which ran for six seasons. The Guild won numerous awards for web video excellence, garnering a PGA nomination for best web series in 2011. Felicia expanded the show into a hit comic book series with Dark Horse Comics. Recently, costume and props from the show were admitted to the Smithsonian American History collection as examples of early web media pioneering. In 2012 Felicia created a funded YouTube channel and production company called Geek & Sundry. 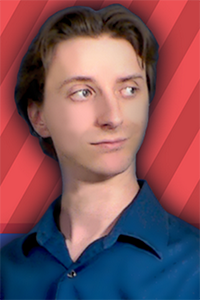 Since launch the channel has garnered over 1.8 million subscribers on YouTube, and over 30k on the livestreaming platform Twitch. In 2014, the company was sold to Legendary Entertainment. Felicia is currently working on her own creative projects for television and the web. She streams on Twitch weekly, and has a podcast Felicitations! which can be found on iTunes. 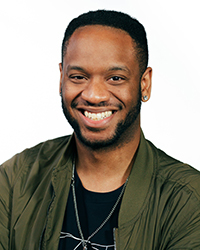 Malik Forté is a former professional gamer, a current professional nobody, a master of nothing and a 10+ year veteran in the video game industry. Oh, and an esports guy sometimes.